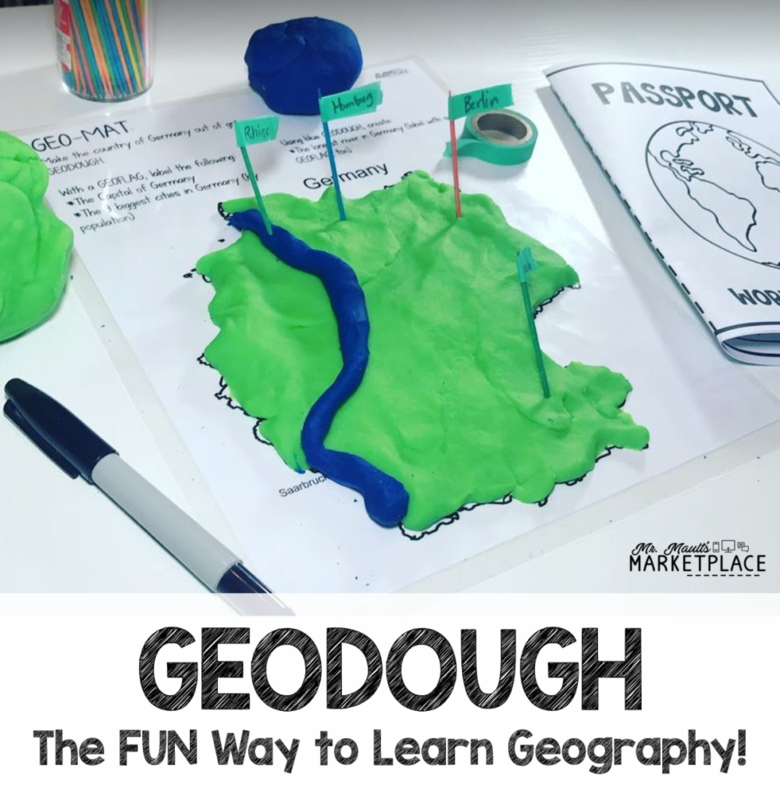 Below you will find ideas and the recipe to make your own GEODOUGH to teach geography! For a few years now, I have been making GEODOUGH. 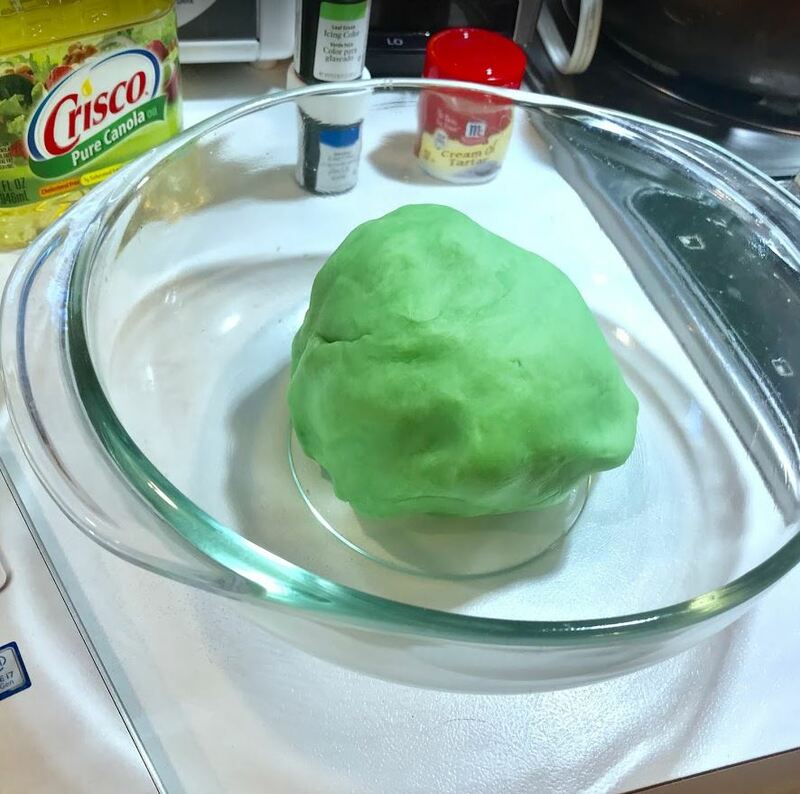 Of course, this is just my fancy name for this dough, because really, it’s just homemade Play-Doh that I use for geography lessons! Below you will find ideas and the recipe to make your own GEODOUGH to teach geography. I have made a few different recipes, but this is by far the best one and lasts forever if sealed and stored properly. It’s also the one that is the most fun to play with, IMO! This recipe isn’t one that you will be able to make with students, as you will need to use the stove. 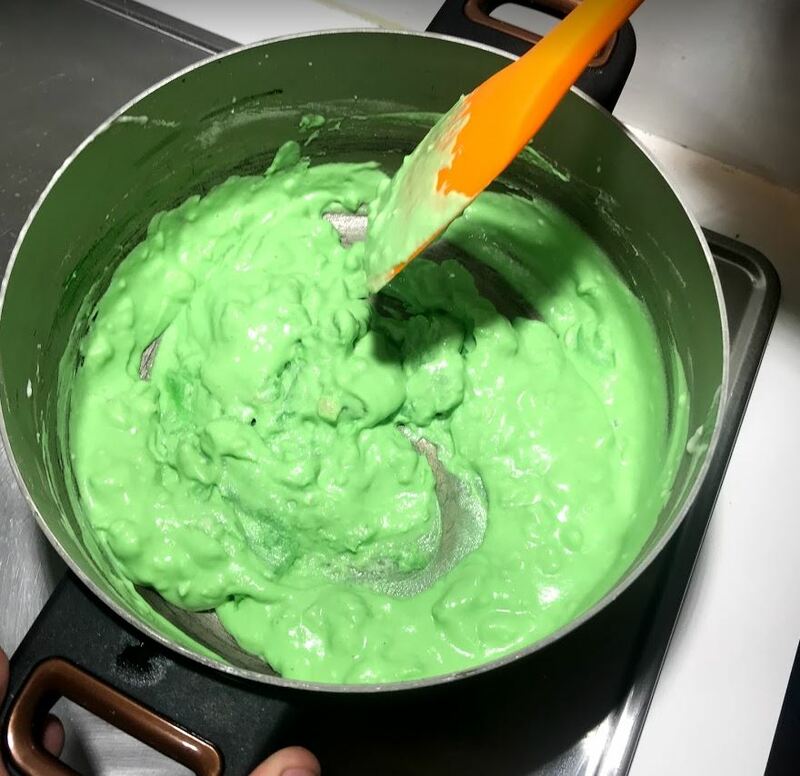 So, grab your husband (or wife) and spend your evening making GEODOUGH for your kiddos! Cook in a pan on low heat, mixing CONSTANTLY! It is very important to continue stirring, as the dough will stick to the bottom. I find using a silicone spatula actually works best, as you can scrape the bottom and sides of the pot as the dough is warming. Cook until the dough becomes very thick. I do mean thick! The dough will start to become a ball. This is when you know it’s ready. Take the dough out of the pan and place in a bowl. Be very careful, as the dough is going to be very warm. Coat your hands in A VERY THIN LAYER of oil and knead the GEODOUGH until it is no longer sticky. At first, it will stick to your hands, but after a few minutes, it will be perfect! The more you knead the dough, the better it will be, and the less sticky it will become. Knead until the ball of dough actually looks like Play-Doh! If you need more color, you can add more at this point, but I would suggest gloves, or you will have green hands for days! That’s it! You’re done! Let the dough continue cooling for a bit before placing it inside of a Ziploc bag. Before putting it inside of the bag, knead a bit more. You definitely don’t need to place this inside of the refrigerator, but I have found that if you are not using the GEODOUGH for a while, refrigerating will keep it super fresh for a VERY long time! Now, how do I use this? There are so many ways, and of course, you don’t need to use it for geography, but that is what this post is all about! Make 4 colors of GEODOUGH. I would suggest red, orange, yellow, and green or blue. Have the kids make a small red ball for the inner core, then place a layer of orange around this for the outer core. After this, cover with a layer of yellow for the mantle, and finally a layer of blue or green for the crust. Give students a plastic knife to cut the ball in half. You can give students toothpicks and pieces of masking tape to make small flags to label each of the layers. One of my favorite things in third grade is social studies. In New York, we study communities of the world, so each of our units is based on a specific country. We always start the unit with a map mat. I place a map of the country on a piece of paper, laminate this, and give students directions to use their GEODOUGH to recreate the country and label multiple things on their maps using toothpicks and tape to make GEOFLAGS. We then compare and look at each other’s’ maps. This is a ton of fun and provides a great hands-on way for students to explore geography. Do your students know where they live? Find out! Give them a ball of GEODOUGH and ask them to create a map of their state, labeling the capital, lakes, rivers, and specifically where they live. Again, giving students toothpicks and masking tape, students can label each of these pieces. Want to make things even more interesting? Ask students to make a topographic map of their state. In my classroom, I have tables, not desks. I assigned each of the 6 groups a continent (one group had 2) and gave them a ball of GEODOUGH. On a side table in my room I made a very large rectangle. I told each group that they needed to make their continent and then take it over to place inside of the rectangle. Now, this was interesting, as some groups made their continents different sizes, so they had to look at what others were doing to make sure their continents were the correct size and they actually fit together properly. We then labeled each of the continents and discussed what needed to be changed to make the world map even more accurate.